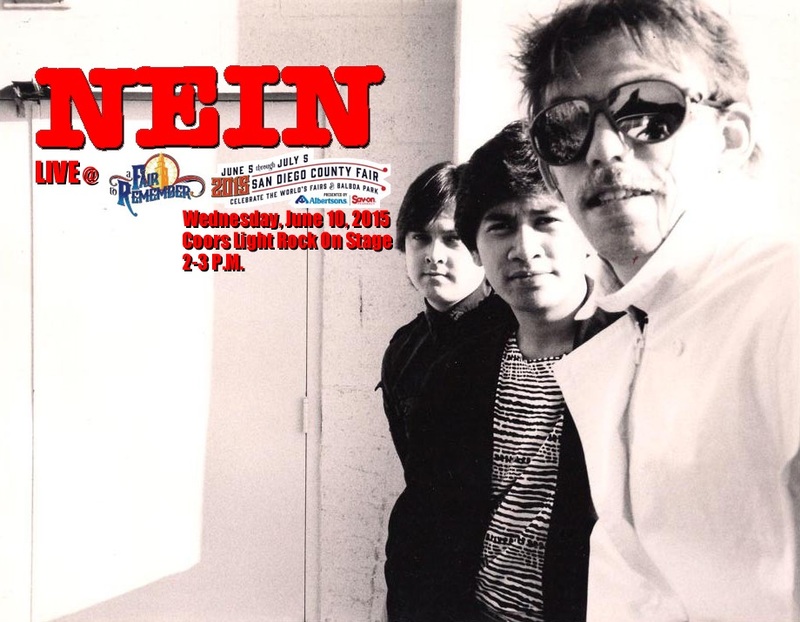 We are pleased to announce that NEIN will be playing at the San Diego County Fair on June 10, 2015, from 2pm to 3pm on the Coors Light Rock On Stage. Come on out and see our first full scale gig in 30 years. We hope to see you there!